I knew they were my favorite as soon as I saw them. Sastrugi, the ice dunes of the polar desert, covered the landscape when I first flew low over Antarctica with Operation IceBridge. They were amazing—winds had shaped them into repeating patterns, appearing as diamonds or fish scales or branching tree roots. 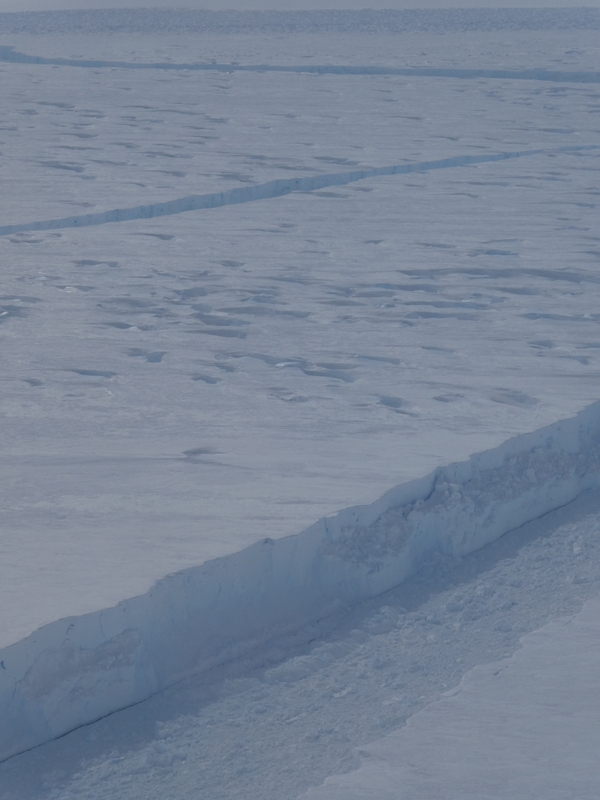 They were the only texture in the vast ice sheet that stretched as far as the eye could see. The next day, however, crevasses took the top spot. Gigantic cracks that bent around mountains as the mass of ice crept toward the ocean—those were definitely my new favorite ice formations. As our IceBridge team took measurements down a path that ICESat-2 would trace from its orbit in space, I wondered how the height profile from these instruments could reflect these seemingly bottomless and terrifying cracks in the ice. Then sea ice made an appearance. Icebergs were trapped at awkward angles in the frozen floes, and new ice spreading across open waters in translucent blues and whites—those had to be the most artistic formations, right? Maybe so—in my mind—until the next flight, which measured a newly created gigantic iceberg, and I glimpsed the jumble of bergy bits and sea ice in the rift between it and the glacier. At least I would be safe from a new favorite ice formation on my last flight, I thought. A survey farther inland of a region we had flown before, it should be old hat. But no. As we flew toward the site, the skies cleared over the Antarctic Peninsula, revealing glacier after glacier after glacier, all textbook examples of how spectacular glaciers can be. 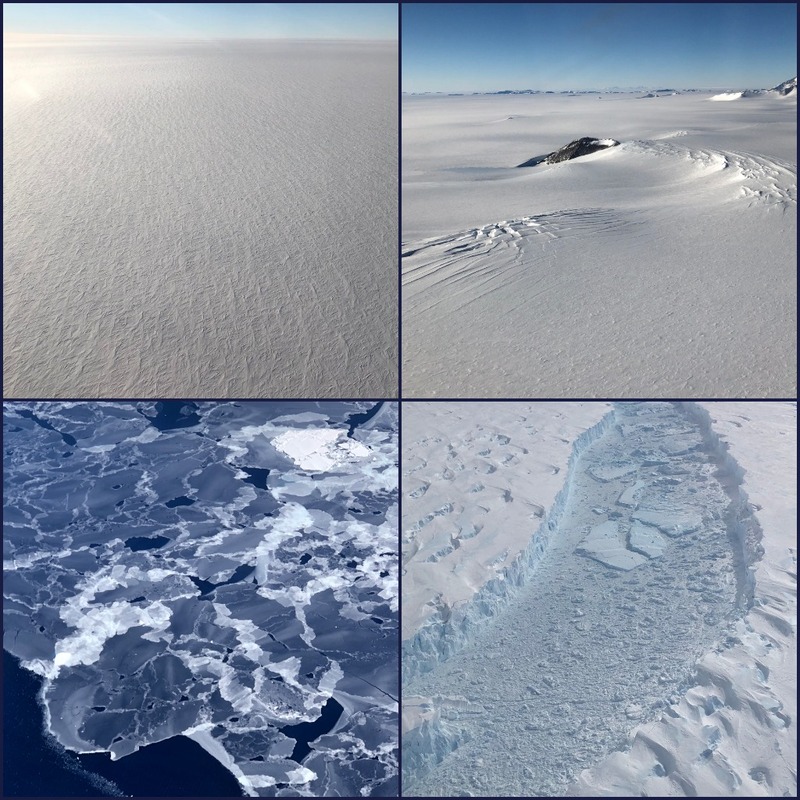 Every day flying over Antarctica with the Operation IceBridge campaign brought a new incredible stretch of ice that left me, a new visitor to the continent, awestruck. 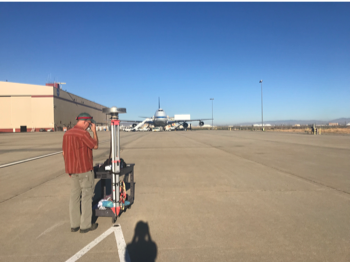 Many members of the team have been surveying the continent for years, using a suite of instruments to map the ice and bedrock and monitor change. 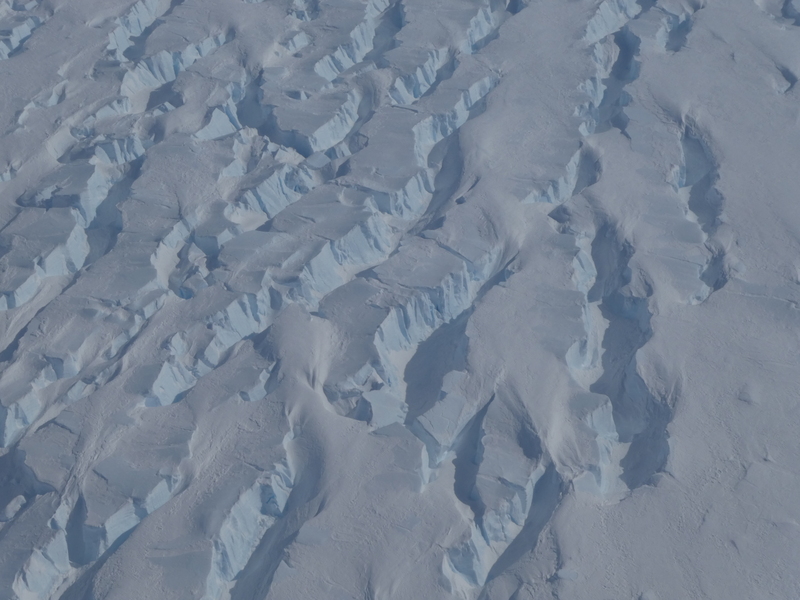 I couldn’t pick a favorite view, and can’t imagine they could either, so instead I just asked some of the IceBridge crew for an example of one of the neatest things they’ve seen flying over Antarctica. The crack that would become B-46 was first noticed in September 2018 – and the berg broke the next month. 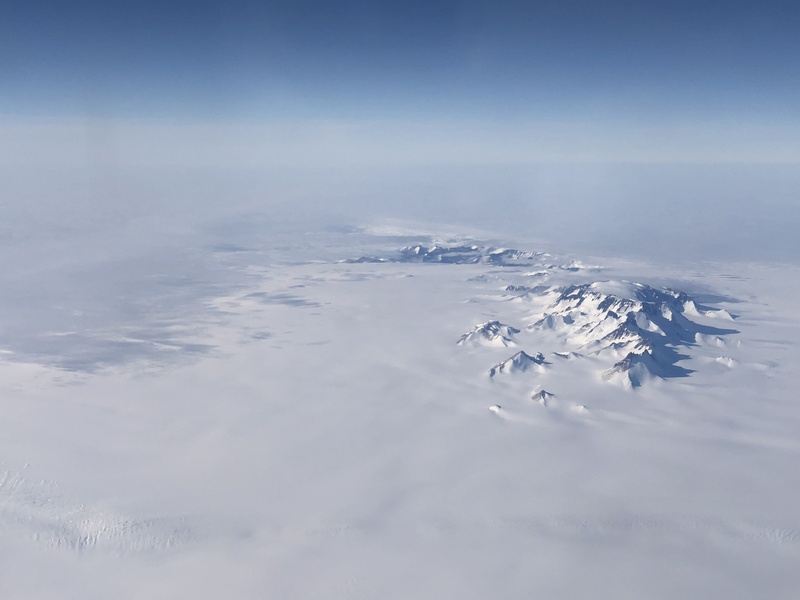 NASA’s Operation IceBridge flew over a new iceberg that is three times the size of Manhattan on Wednesday – the first known time anyone has laid eyes on the giant berg, dubbed B-46, that broke off from Pine Island Glacier in late October. The flight over one of the fastest-retreating glaciers in Antarctica was part of IceBridge’s campaign to collect measurements of Earth’s changing polar regions. 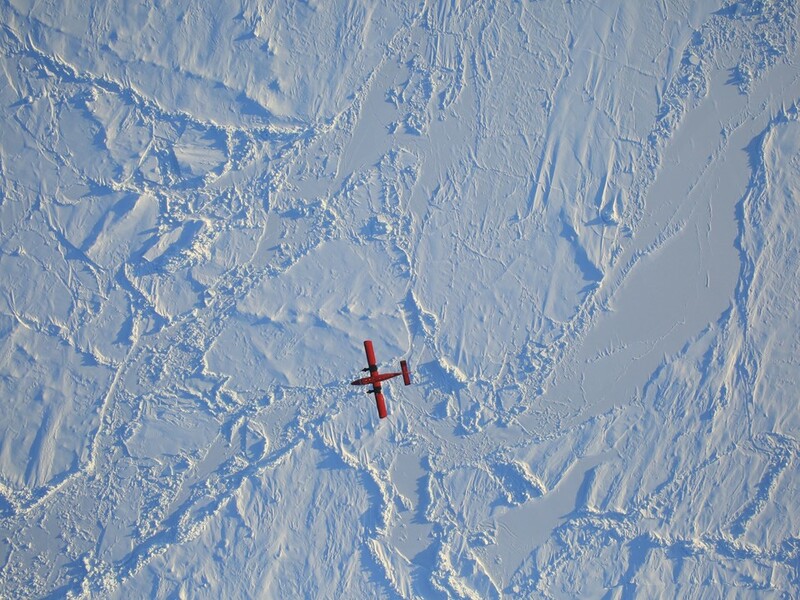 Surveys of Pine Island are one of the highest priority missions for IceBridge, in part because of the glacier’s significant impact on sea level rise. 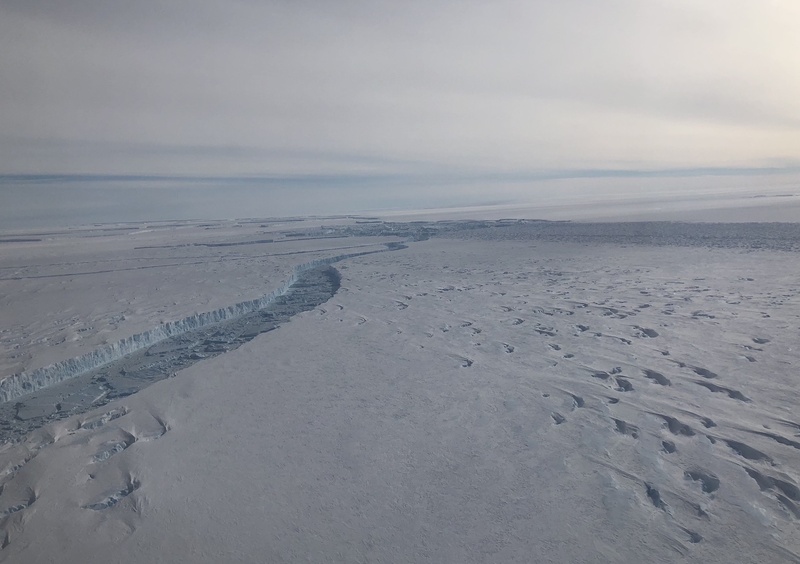 On Wednesday, IceBridge’s approach to the iceberg began far above the glacier’s outlet, in the upper reaches of ice that will eventually flow into the glacier’s trunk. There, as far as the eye can see, it was flat and it was white. 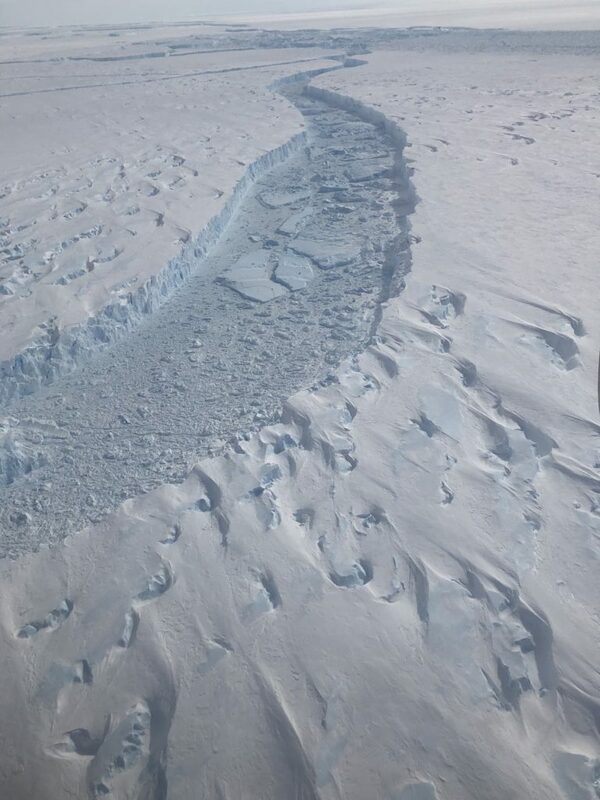 As the aircraft headed toward the glacier’s outlet in the Amundsen Sea, snow-covered crevasses became visible when sunlight struck at just the right angle. Every once in a while, a dark hole appeared in the crevasses where the snow had fallen through, providing a glimpse into the depths of the ice sheet. Then the holes got bigger. 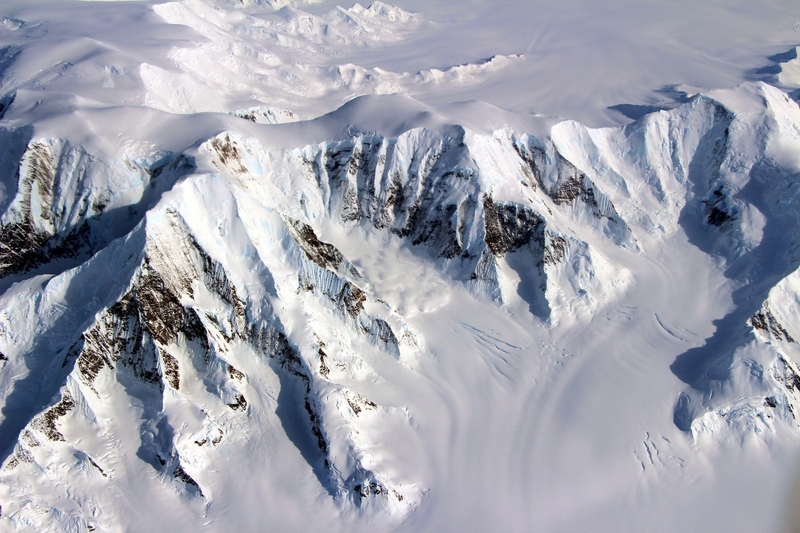 The crevasses and dunes became a jumbled mess of ice, as Pine Island Glacier picks up speed as it flows to the sea. The crevasses got deeper and wider, swirling around each other. 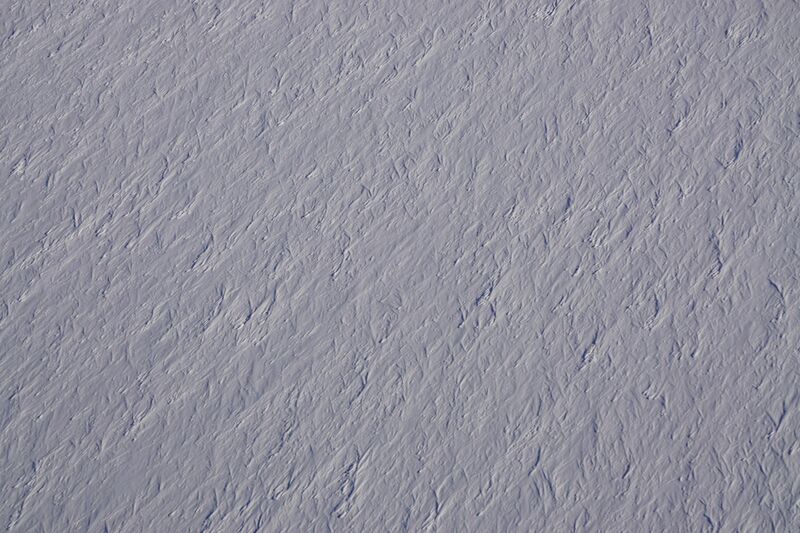 Striated snow layers in white and pale blue were visible down the crevasse walls, like an icy version of the slot canyons in the American West. Then finally – the berg. 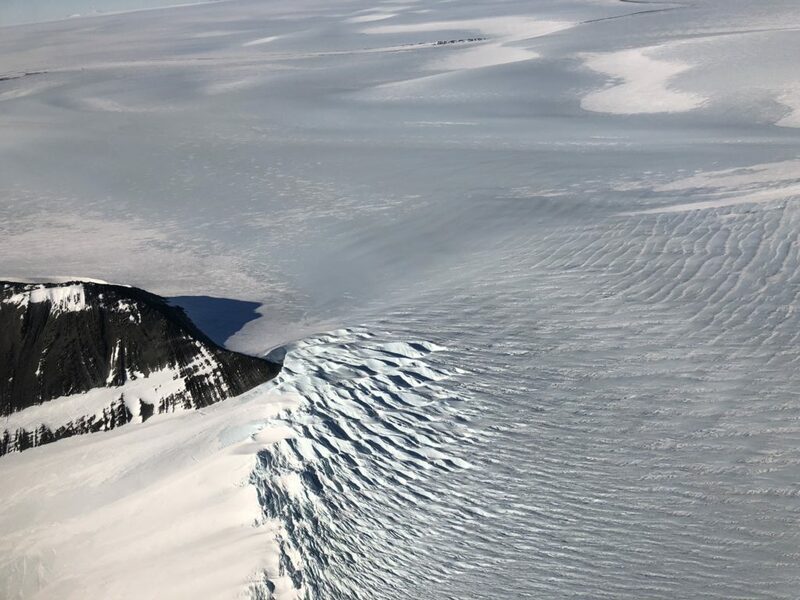 Satellite imagery had revealed a massive calving event from Pine Island in late October, and the IceBridge crew was the first to lay eyes on the newly created iceberg. The glacier ends in a sheer 60-meter cliff, dropping off into an ocean channel filled with a mix of bergy bits, snow, and newly forming sea ice. 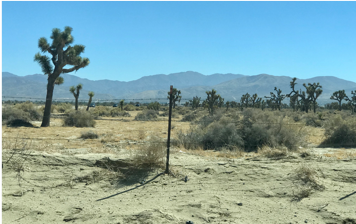 On the other side, a matching jagged cliff marked the beginning of B-46, as it stretched across the horizon. Even though it had calved just over a week ago, the berg was already showing signs of wear and tear. Cracks wove through B-46, and upturned bergy bits floated in wide rifts. 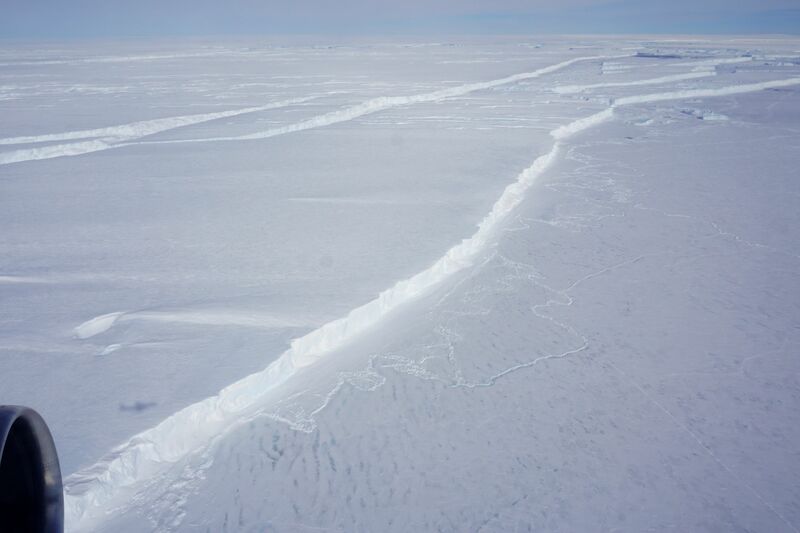 The iceberg will probably break down into smaller icebergs within a month or two, Medley said. Iceberg calving is normal for glaciers – snow falls within the glacier’s catchment and slowly flows down into the main trunk, where the ice starts to flow faster. Eventually it encounters the ocean, is lifted afloat, and over time travels to the edge of the shelf. There, ice breaks off in the form of an iceberg. When the amount of snowfall and ice loss (from iceberg calving and melt) are the same, a glacier’s in balance. 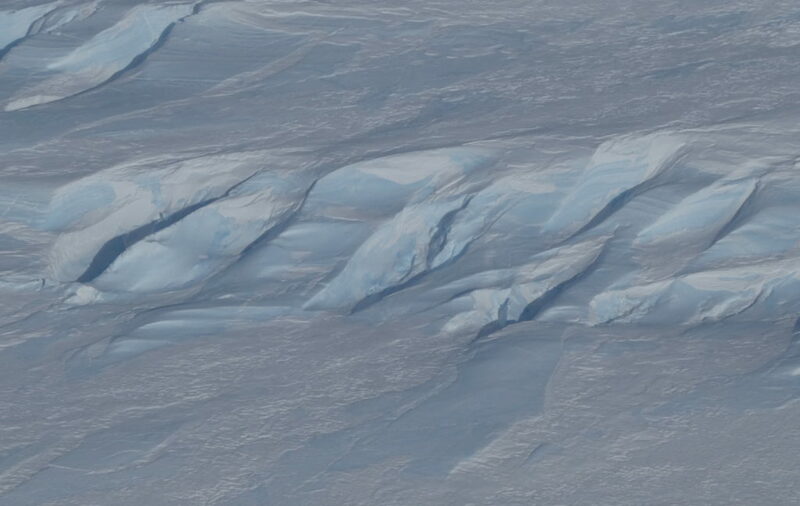 So it’s hard to link a particular iceberg like B-46 to the increasing ice loss from Pine Island Glacier. But the frequency, speed, and size of the calving is something to keep an eye on, Medley said. 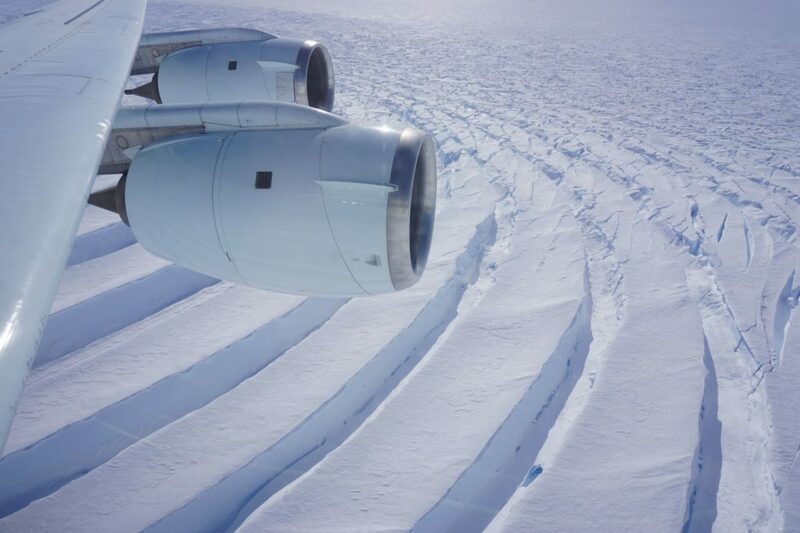 In 2016, IceBridge saw a crack beginning across the base of Pine Island; it took a year for an actual rift to form and the iceberg to float away. They’re not the biggest glaciers on the planet, but Pine Island and its neighbor, Thwaites, have an oversized impact on sea level rise. 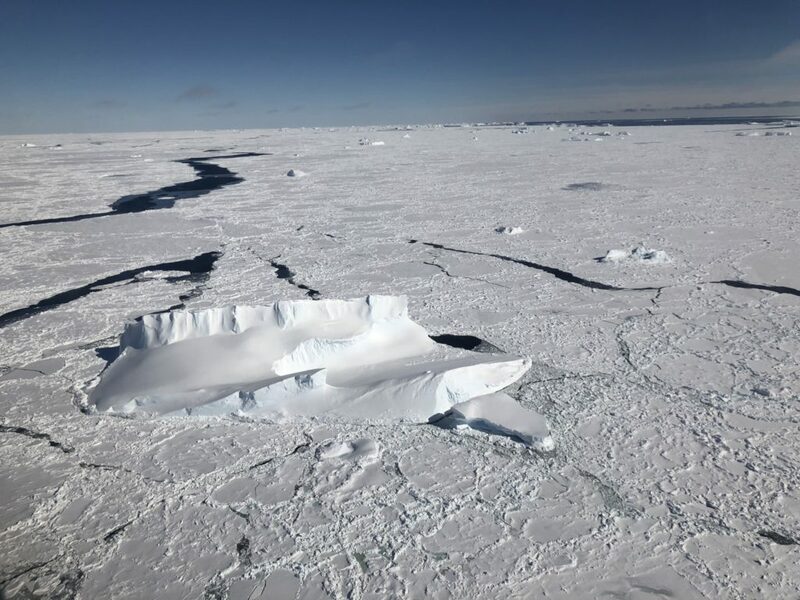 Enough ice flows from each of these West Antarctic glaciers to raise sea levels by more than 1 millimeter per decade, according to a study led by Medley. And by the end of this century, that number is projected to at least triple. “It’s deeply concerning,” Medley said. 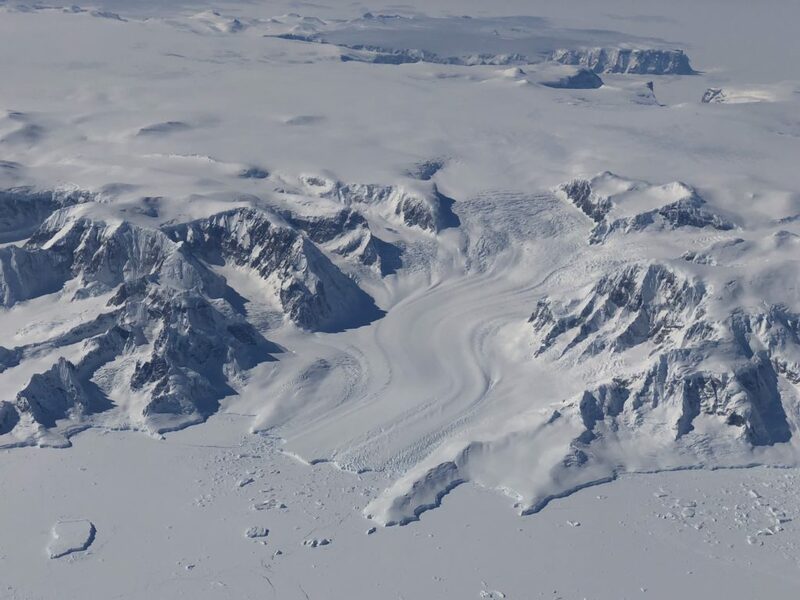 The geography of these glaciers make them highly susceptible to ice loss: relatively warm waters cut under the ice shelf, weakening it from below. This shock to the system has the capability to initiate an unstoppable retreat of these glaciers. 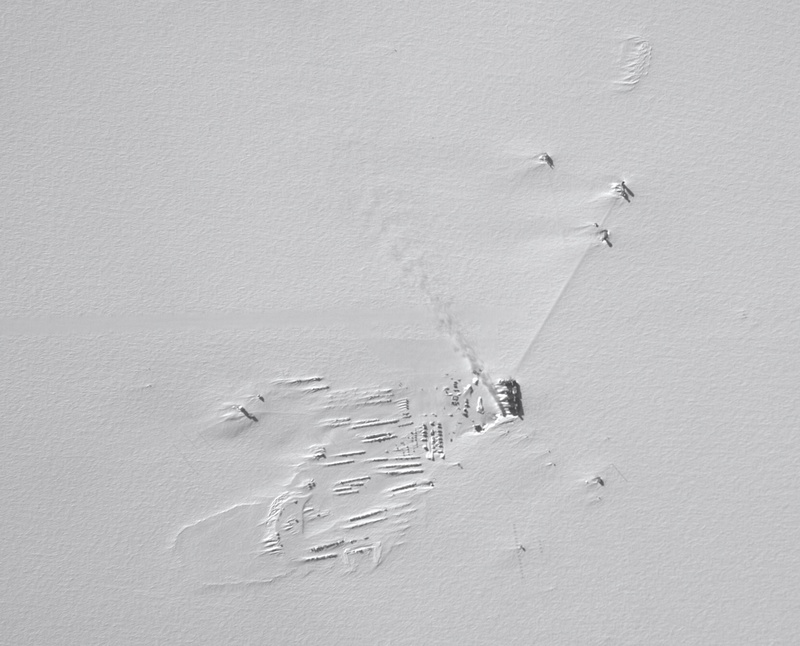 There’s a reason Pine Island and Thwaites are dubbed the “weak underbelly” of Antarctica. NASA has been monitoring Pine Island Glacier from aircraft since 2002, and IceBridge started taking extensive measurements of the fast-moving ice in 2009. These flights are long (I mean really long) and the days are also long. 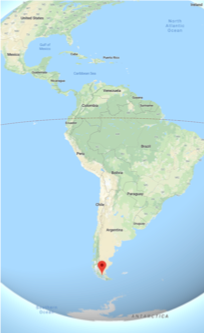 We have to get to the airport two hours before the flight, and it takes about 25 minutes to get to the airport in Punta Arenas, Chile. 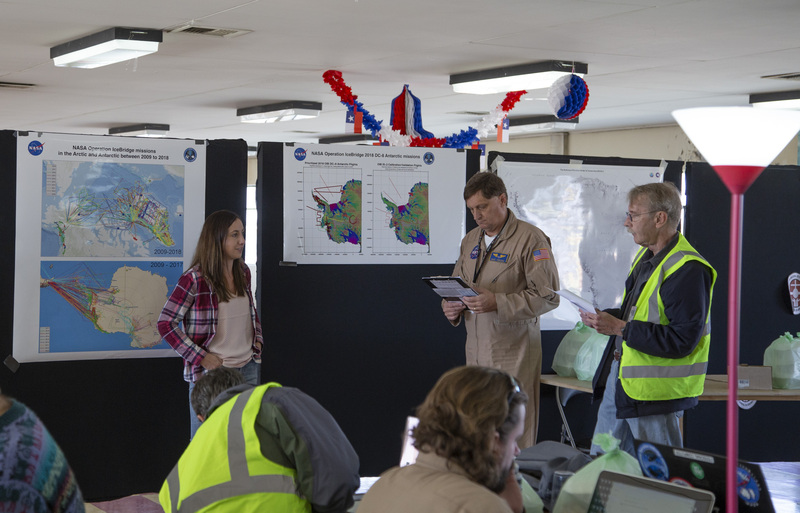 Once there, John Sonntag, Eugenia DeMarco, and I go over the satellite imagery available to us as well as some weather forecast models of Antarctica so we can decide which missions are the most viable for maximum data collection during flight. This is nerve-wracking in two ways: 1) We have limited satellite imagery so the model forecasts don’t always get the weather correct. This is because there are relatively few observations for the models to ingest in Antarctica and the Southern Ocean to include in their forecasts. Basically, the more observations available the better the chance that the models will get the weather forecasts correct. 2) If we make the wrong call and pick a mission where the weather turns out to be different from the forecasts and we are unable to collect good data, we are wasting the project’s valuable flight hour time and money. Let’s just say flying a big plane like the DC-8 is not cheap. So that’s a lot of pressure. 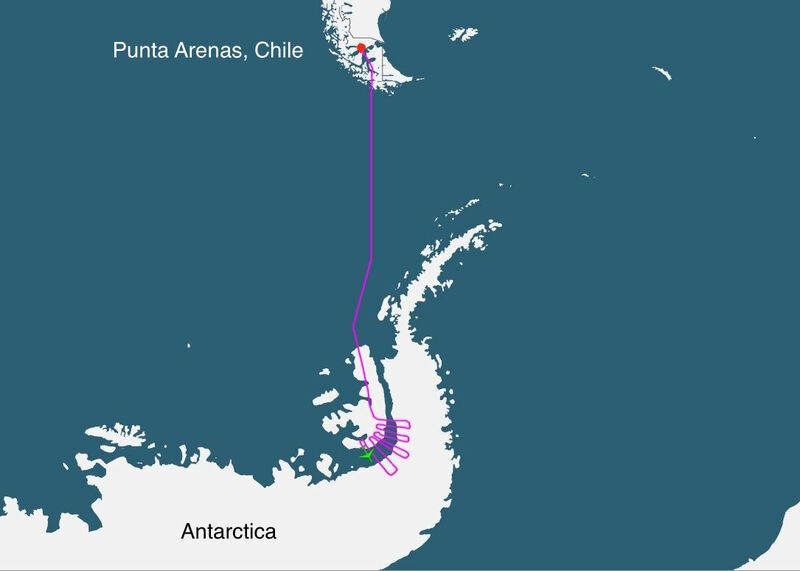 The reason why our flights are much longer in the Antarctic compared to the Arctic is that the time it takes to get to Antarctica from where we are based, Punta Arenas, is two to hours hours long, meaning that’s how long it takes before we can begin our mission and collect data. About half of our flight time is high-altitude transit. One would think there would be a lot of down time; however, for me this is not the case. I am very big on outreach and giving back by sharing with students of all ages what I do in my job, how I got interested in science, and the science that I do. 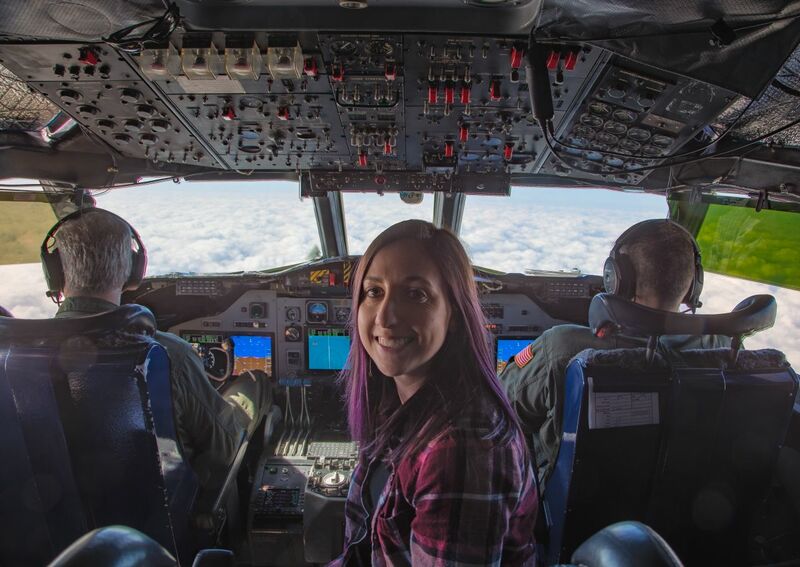 One of the great things about OIB and NASA airborne science in general is that we have the ability to connect and chat with students in classrooms all over the world during our flights. So this is how I choose to spend my down time on science flights. 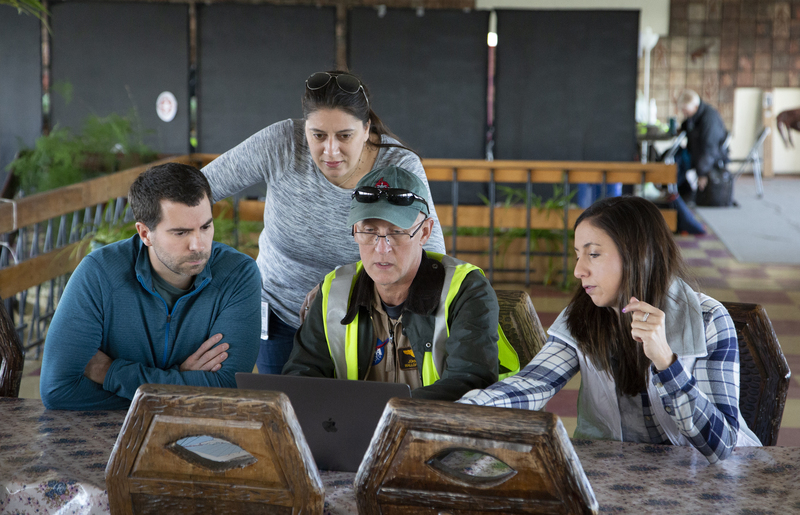 Teachers can connect their classrooms with us and ask all types of questions, from climate change to what OIB does, what we studied in school, and what we eat on the plane. I have been partaking in this for a few campaigns now, and the majority of the teachers come back campaign after campaign, connecting with us multiple times. 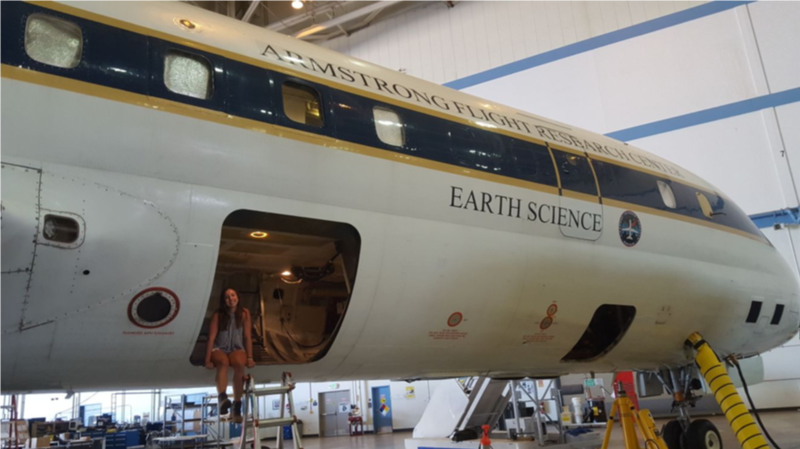 One of these teachers is Marci Ward, who teaches third grade in Fairbanks, Alaska, and is fascinated with airborne science and is dedicated and enthusiastic about exposing her students to all types of science. 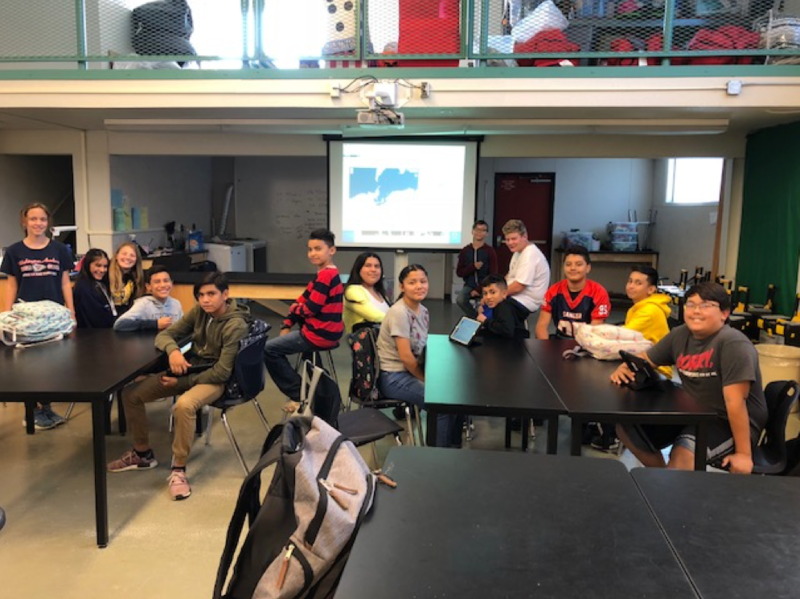 Last spring, when we were stationed in Fairbanks for our Beaufort sea ice flights, I had the opportunity to go to her classroom and talk to her students in person about OIB on one of our down days. Shortly thereafter, I was able to connect with her students again on the plane chat the following week. They were so excited to meet me in person and to chat with me on the plane, it really made me feel good about what I was doing and that I was making a difference (aka giving me the warm and fuzzies inside). After 12 hours in the air today, we arrive back in Punta Arenas and make it back to our hotel anywhere from one to two hours after we land. The days can be exhausting, and we know that we will be doing this all again tomorrow. But I also know that along with collecting all of this extremely valuable data of Antarctic ice, I and other scientists and engineers aboard also make an impact on students all over the world. Personally, I find it even more important for me to be continually proactive in the student chats because I hope to encourage and inspire young female students to be interested and pursue careers in math and science, areas where we are currently underrepresented and crucially needed. Do you remember that dreaded math problem in high school, the one where two trains left different stations traveling at different speeds toward each other and you had to calculate when and where they would meet? Now try solving a variation of this problem where the two trains are substituted with three very different aircraft—two leaving from the Canadian Arctic, one from northwestern Greenland—plus a satellite flying overhead. 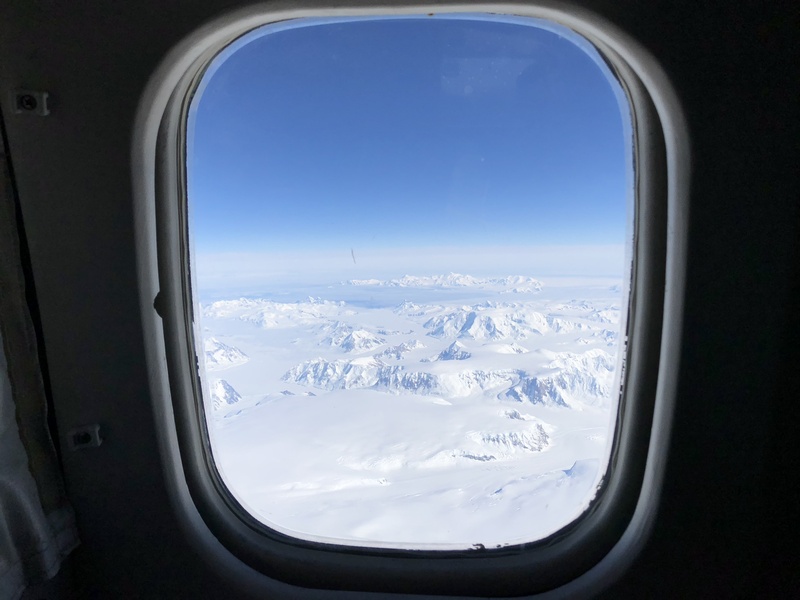 This was the logistical puzzle that Operation IceBridge, NASA’s airborne survey of changing polar ice, had to crack on Friday, March 24, during its ninth Arctic campaign. 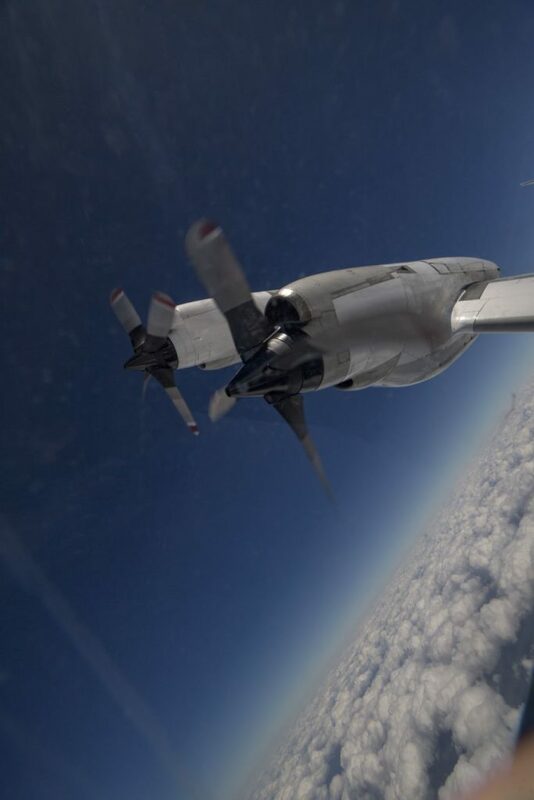 The original plan had involved four planes: IceBridge’s P-3, the G-III from NASA’s Oceans Melting Greenland (OMG) campaign and two aircraft from the European Space Agency (ESA)—a Twin Otter and a Basler dubbed Polar 5, both carrying laser scanners and radars, among other instruments. The goal was for all of the planes to fly the same path over sea ice, right beneath one of ESA’s CryoSat-2 satellite tracks, while simultaneously collecting measurements so that scientists could later compare the data gathered by the different instruments on the three planes and the spacecraft’s radar altimeter. 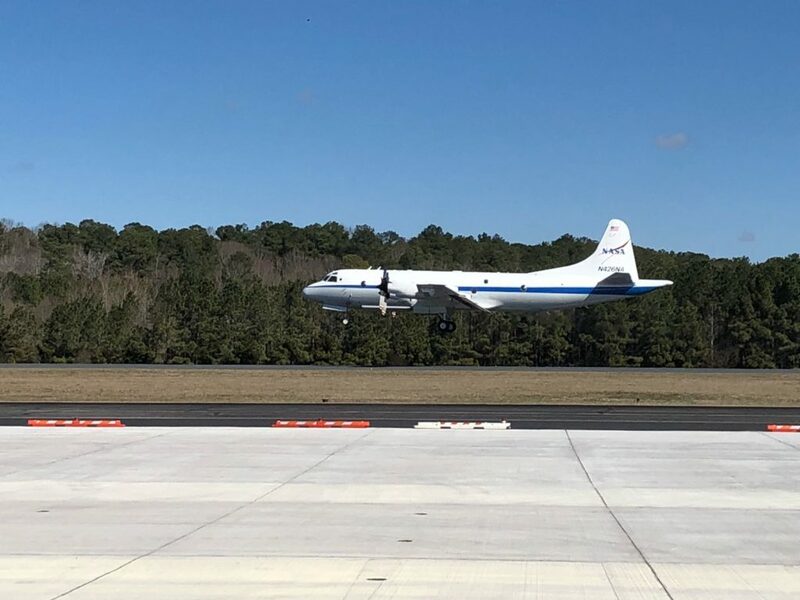 “The primary reason for the whole exercise was to cross-calibrate the CryoSat-2 radar with all of our radars and lasers,” said John Sonntag, IceBridge mission scientist. 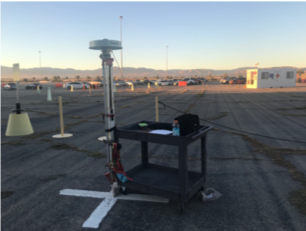 “This will allow us all to better understand the performance of our instruments and how well we perform our surveys”. 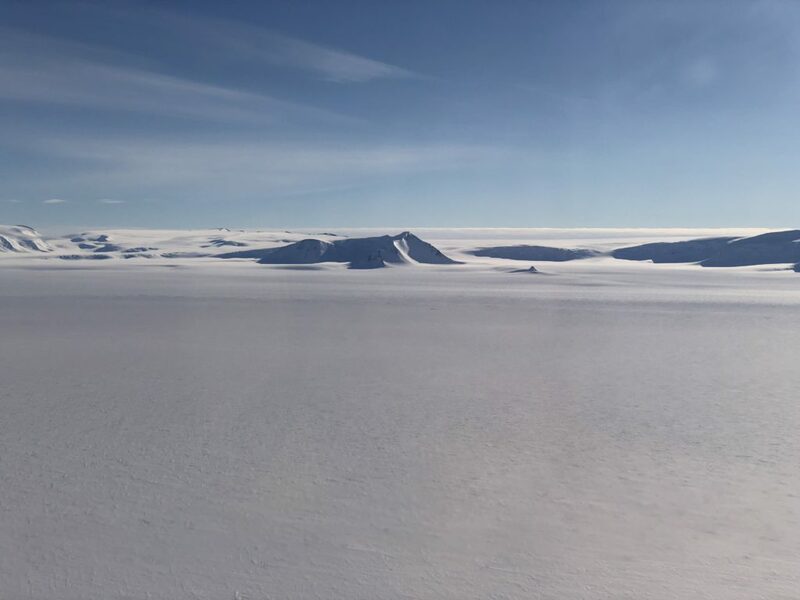 Early in the morning of Thursday, March 24, IceBridge’s P-3 and OMG’s G-III took off from Thule Air Base in northwest Greenland and headed to the Lincoln Sea, north of Canada. 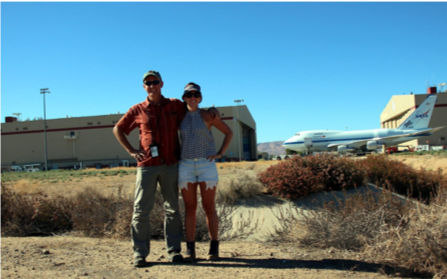 They were planning to rendezvous there with the two ESA planes, which were based in Alert Station, a Canadian base in Ellesmere Island, in the Canadian Arctic. 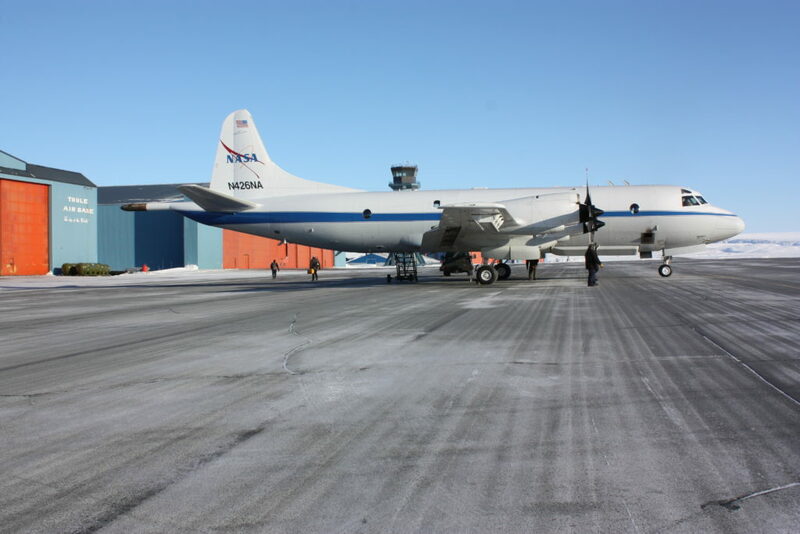 Since the Twin Otter and Polar 5 were located closer to the target site, the Europeans would depart Alert four hours after the NASA planes had left Thule. But before they could take off, an unexpected fog bank rolled over Alert, shutting the airport down. Still, IceBridge and OMG proceeded with their flight, sampling the thick multi-year ice near the Ellesmere coast and the gradient to thinner ice closer to the North Pole with their instruments: OMG’s radar mapper and IceBridge’s suite of instruments, encompassing a scanning laser altimeter that measures ice surface elevation, three types of radar systems to study ice layers and the bedrock underneath the ice sheet, a high-resolution camera to create color maps of polar ice, and infrared cameras to measure surface temperatures of sea and land ice. The following day, the IceBridge team decided to give it another go but OMG had already exhausted its allotted flight hours and had to stay on the ground. To increase their confidence that their European collaborators would be able to fly that day, the P-3 took off one and a half hours later than it normally would have. 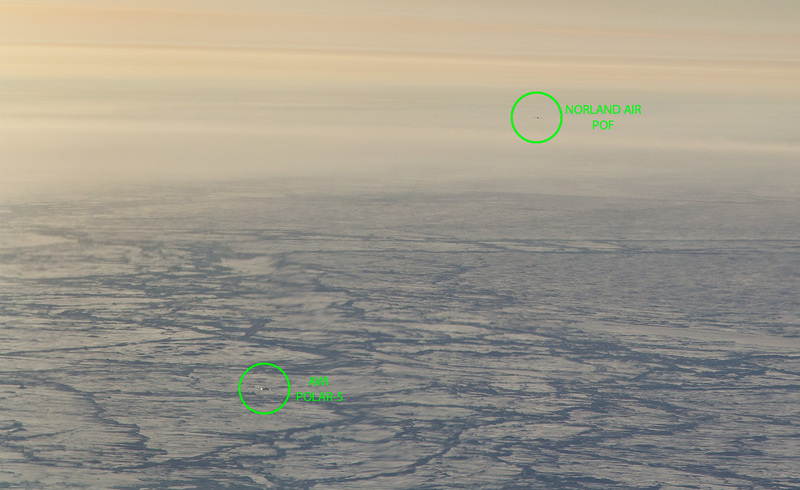 This time, it was a success: the three aircraft flew over the CryoSat-2 track line (one a few dozen miles east of the one IceBridge and OMG had flown the day before) within 42 minutes of each other. The satellite overflew the same line just two minutes after IceBridge had completed it. 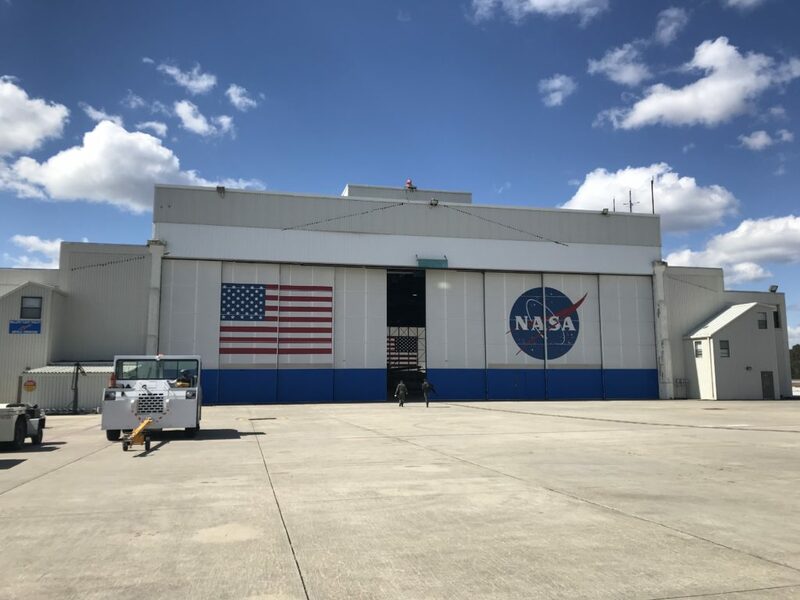 It will take scientists from the different teams about six months to process all the measurements before they’re able to compare them, but NASA and ESA are already calling the collaboration a success. Imagine a 12-hour flight that takes off and lands in exactly the same place. Now imagine willingly boarding that flight six days per week. 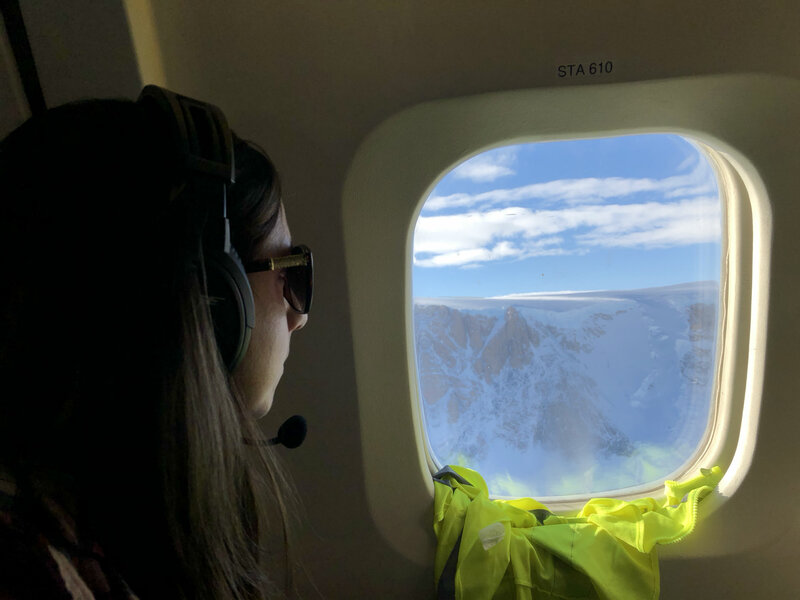 This is the routine that NASA’s Operation IceBridge team in Punta Arenas, Chile, follows for six weeks every fall in order to collect data on Antarctica’s changing ice sheets, glaciers and sea ice. Operation IceBridge’s mission is to collect data on changing polar land and sea ice and maintain continuity of measurements between ICESat missions. 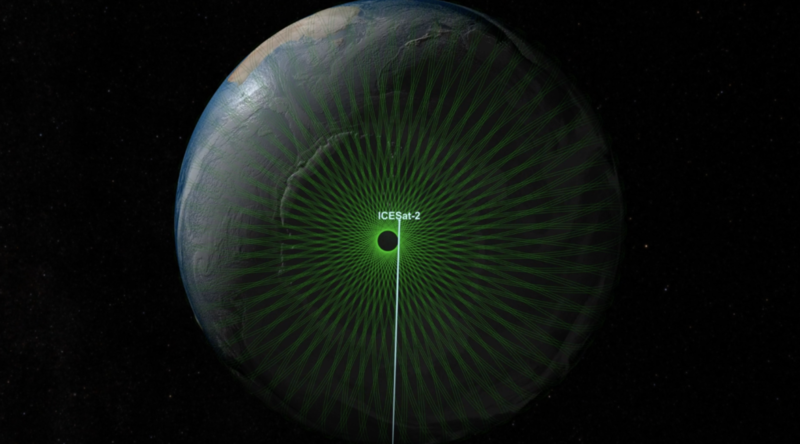 The original ICESat mission ended in 2009, and its successor, ICESat-2, is scheduled for launch in 2018. 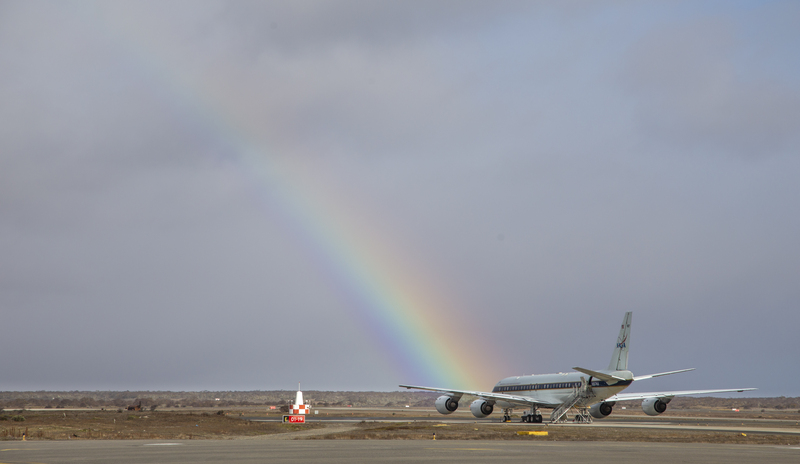 Our DC-8 flying laboratory can’t land on the icy surface of Antarctica, so instead we base our operations as close as we can get—near the southern tip of Chile. The schedule is grueling but incredibly important for maintaining a yearly record of Antarctica’s changing ice. What is it like inside the airplane every day for those 12-hour flights? 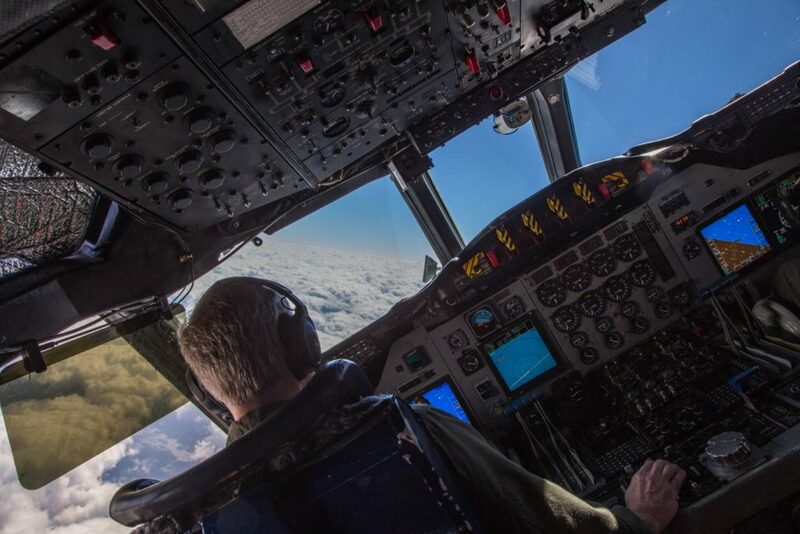 There are generally about 25 of us aboard, including pilots and crew and a team of scientists and engineers who operate a variety of instruments measuring the thickness and extent of ice sheets. 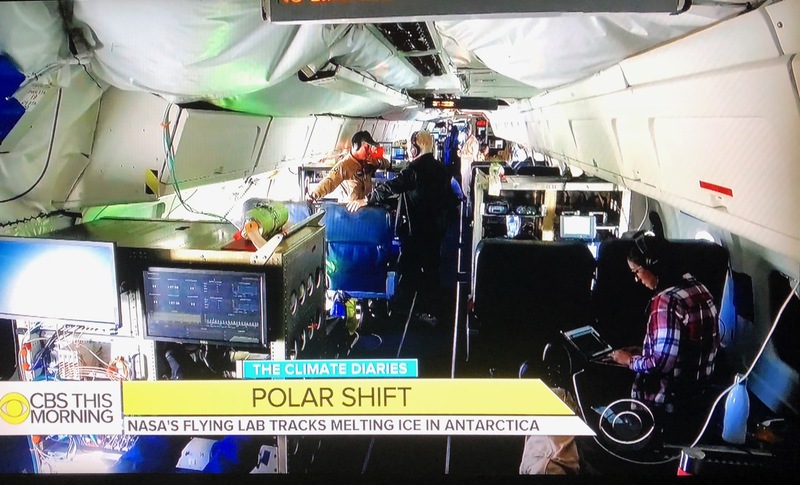 Much of the roughly 12-hour flight is spent flying to and from Antarctica, with the meat of the science in the middle hours of the flight (between 3-9 hours after takeoff, if our mapping target of the day is near the Antarctic coast, or between 4-8 hours after takeoff if our mapping target is closer to the pole). 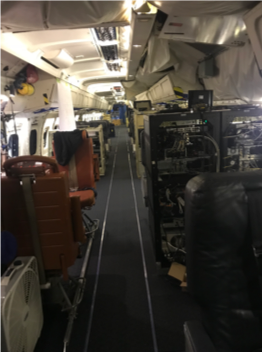 Most of the instruments do not collect data until we get to Antarctica, so this leaves hours of downtime at the beginning and end of each flight for many of the people aboard (except for the pilots and navigators, of course!). 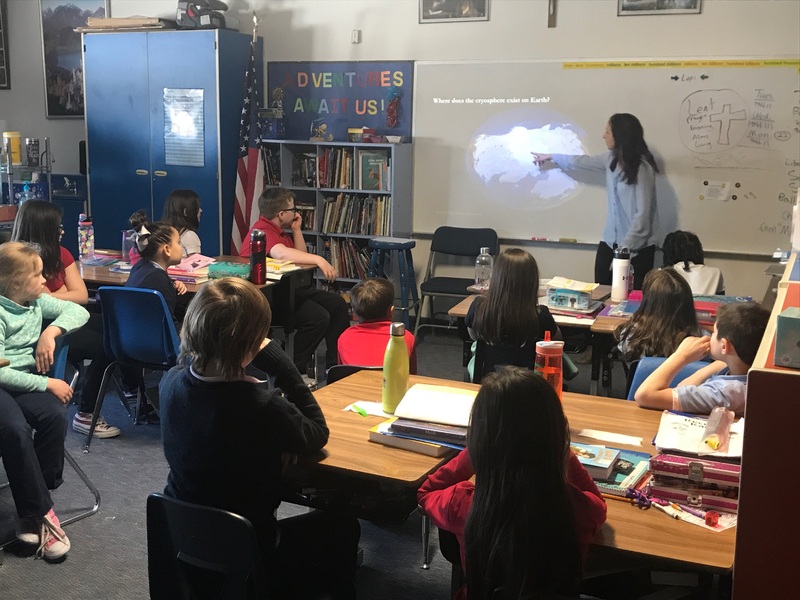 We often fill this time with outreach and educational activities, as our airplane’s satellite data system allows us to live chat with classrooms back in the United States and all over the world. 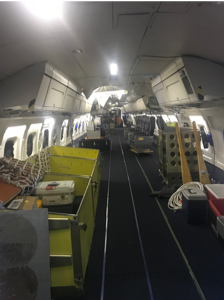 Over the past 4 years, nearly 5,000 students in K-12 classrooms across the US and in Canada, Mexico and Chile have connected directly with our IceBridge teams in-flight. 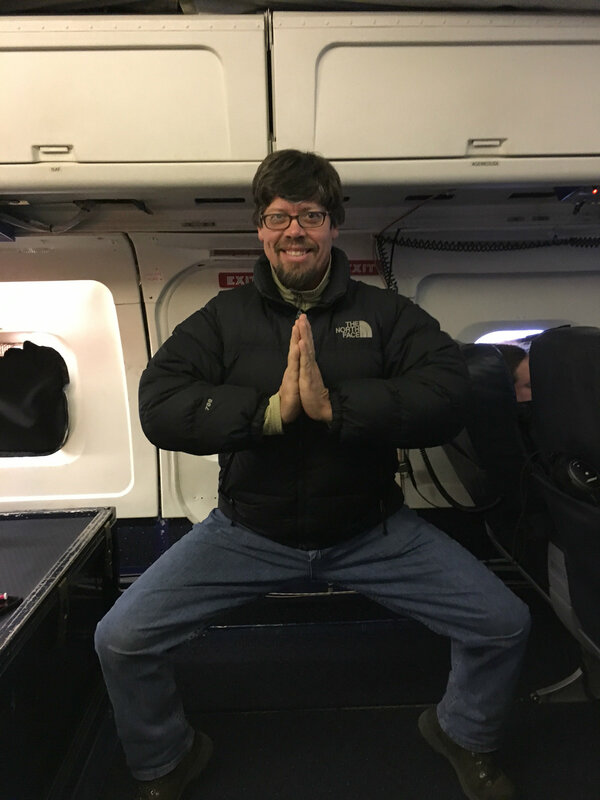 In order to keep ourselves in shape and build team morale, an informal airborne Antarctic workout club has formed to help pass the time during our long flights. 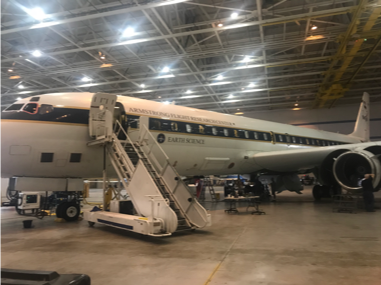 Originally inspired by a Navy tradition of dropping and doing 25 pushups on the hour, every hour, our DC-8 version of this tradition persists on many missions due to the encouragement of DC-8 Navigator Walter Klein, Operations Engineer Matt Berry and by IceBridge Project Manager John Woods. 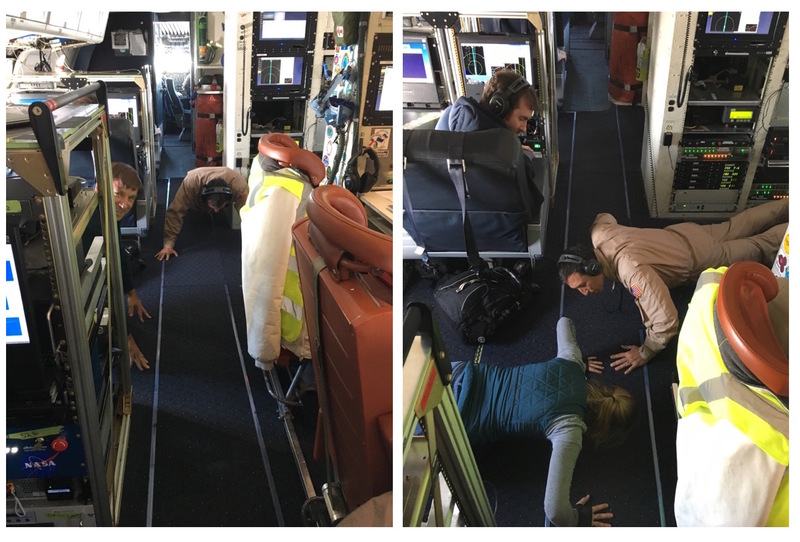 On recent IceBridge flights, in addition to (or in place of) pushups (depending on the person), the on-the-hour exercise also includes squats, stretching, yoga and ballet. While not everyone gets up every hour due to their various duties, there are usually a few people nearly every hour doing activities to keep the blood flowing and their minds and bodies engaged during the long daily flights over Antarctica. 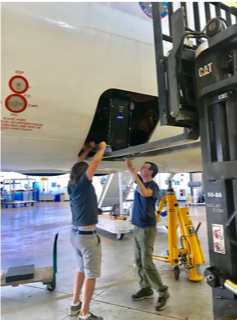 NASA IceBridge Antarctica: We are fit to fly! 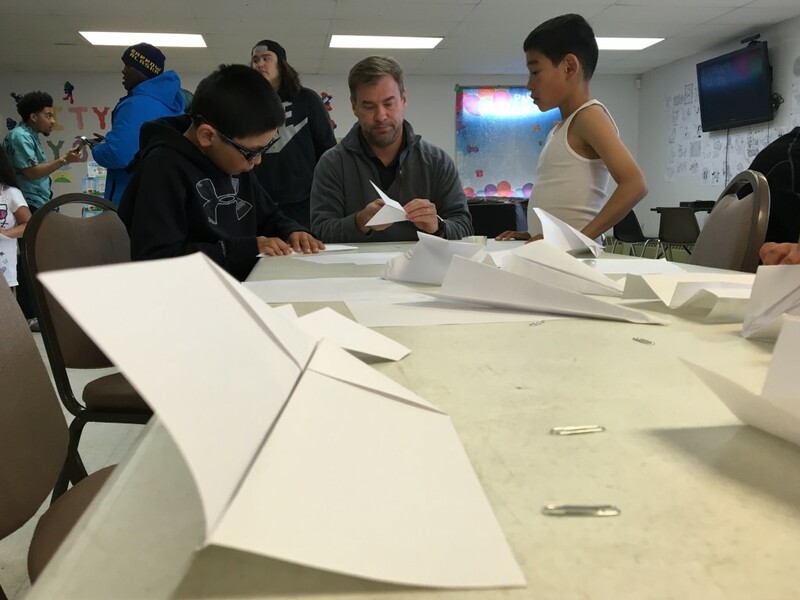 A cloudy day in the middle of Operation IceBridge’s summer campaign in Barrow, Alaska, meant no flights that day, so instead several members of the campaign showed local kids how to build and fly NASA-quality paper airplanes. “This is what an engineer does, see what works and what doesn’t,” pilot Rick Yasky told one elementary-age summer camper. 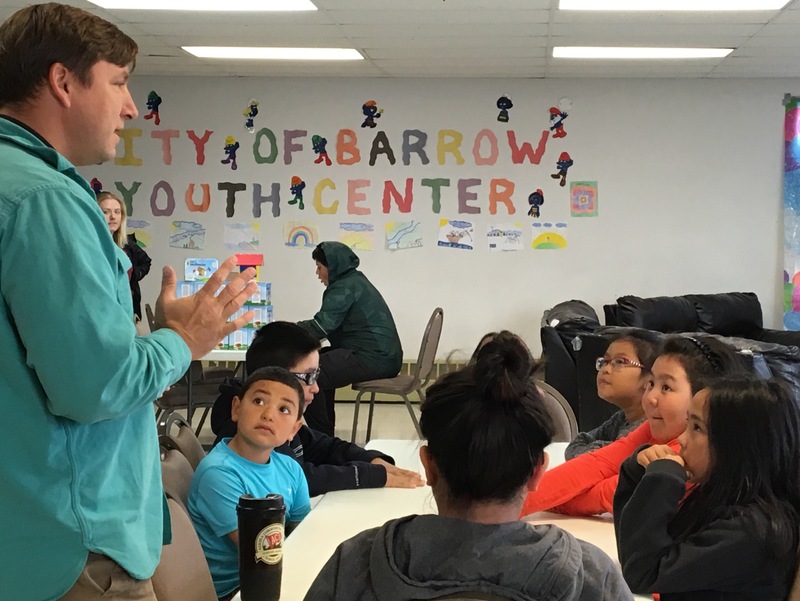 The campaign, which measured melting sea ice in the Arctic, was the first IceBridge mission out of Barrow, so while in town the 11 scientists, pilots and flight crew explored the local science, culture and community. One of the flight crew was walking along the beach when he came across fishermen pulling in a line of salmon—he helped, and walked back to the hotel with enough fish to eat for the rest of the campaign. Another chatted with local women who were removing reindeer tendons, which would dry out until the fall when the women would braid them together to use in sewing. And in the middle of the campaign, they helped at a summer camp by making birdhouses, holding a paper airplane contest and showing the campers the NASA Falcon jet out of Langley Research Center in Virginia. 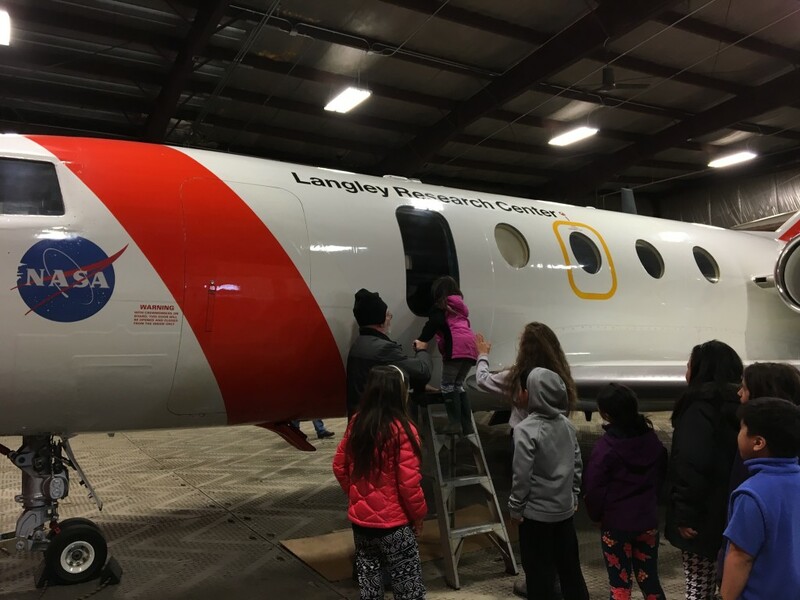 John Woods, IceBridge project manager, also gave a library talk on how NASA measures sea ice and Arctic health, speaking to whaling captains, scientists, locals and three kids in astronaut suits. Woods and others also talked with local researchers working on the tundra with carbon monitoring stations, weather instruments and more. 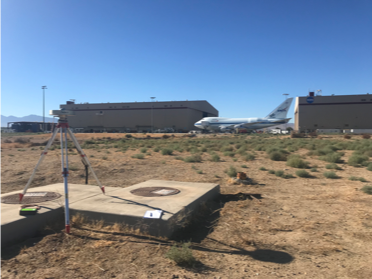 This is the first time that IceBridge has been based in Barrow—the farthest north town in the United States. And the mission hopes to use it as a base to fly out again, Woods said. 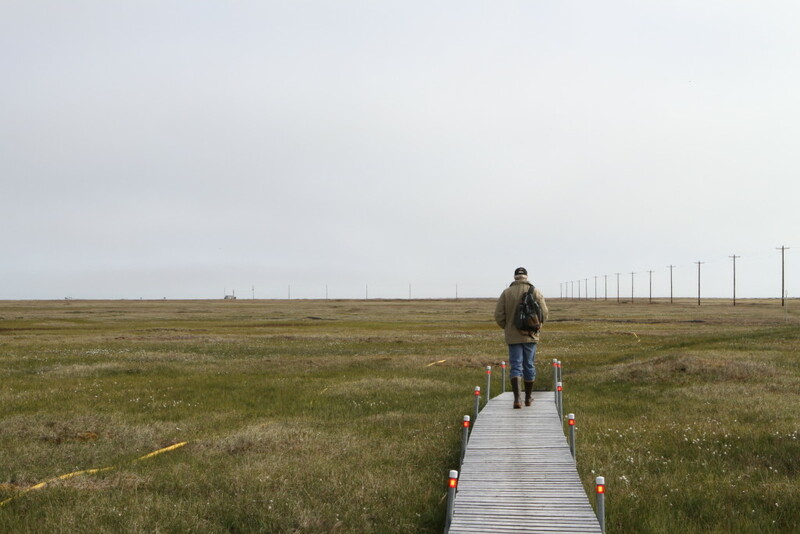 In July the Chukchi Sea, 300 miles north of Barrow, Alaska, is as varied as any land terrain. Sheets of floating ice called floes are cracked into pieces like pottery shards and are dotted with ponds of melted snow. The deepest blue ponds, whose dark colors signify melting that’s occurring in thicker ice, connect to neighbors with winding black rivers that empty into the open sea. Giant chunks of ice form rough ridges where ocean currents and winds have slammed the ice floes into each other. It’s summertime in the Arctic, and the ice is in flux. 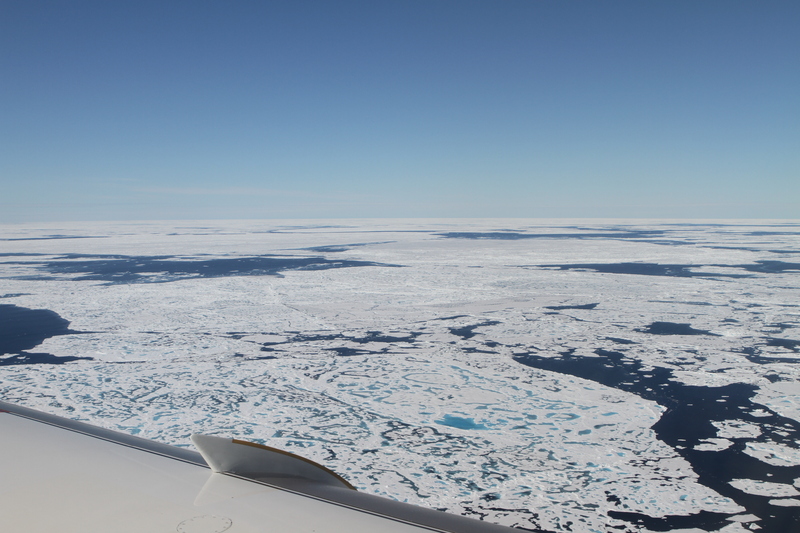 Operation IceBridge made two flights out of Barrow on Tuesday, July 19, as part of the campaign’s first effort to take airborne measurements of melting summer sea ice. 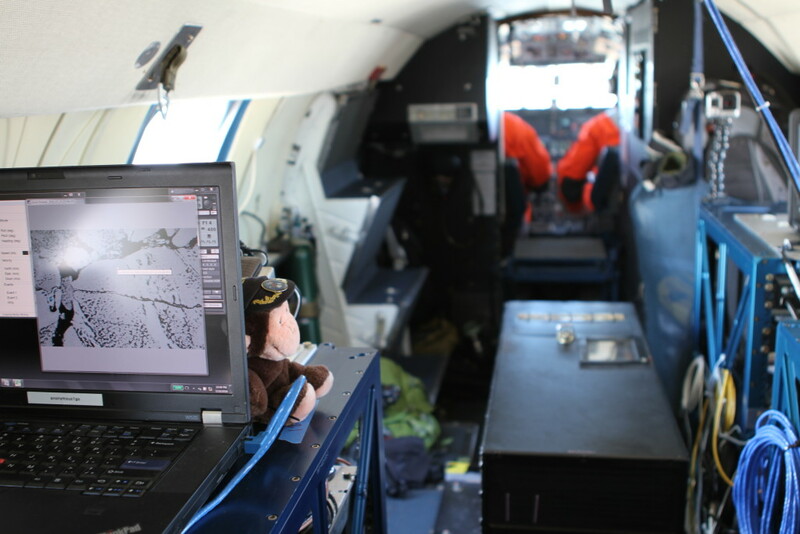 Flying 1,500 feet above the ice floes were three instruments: a laser altimeter that measures the heights of the water, snow and ice; an infrared imager that provides temperature readings to help differentiate between water and ice; and a downward-facing mapping camera. 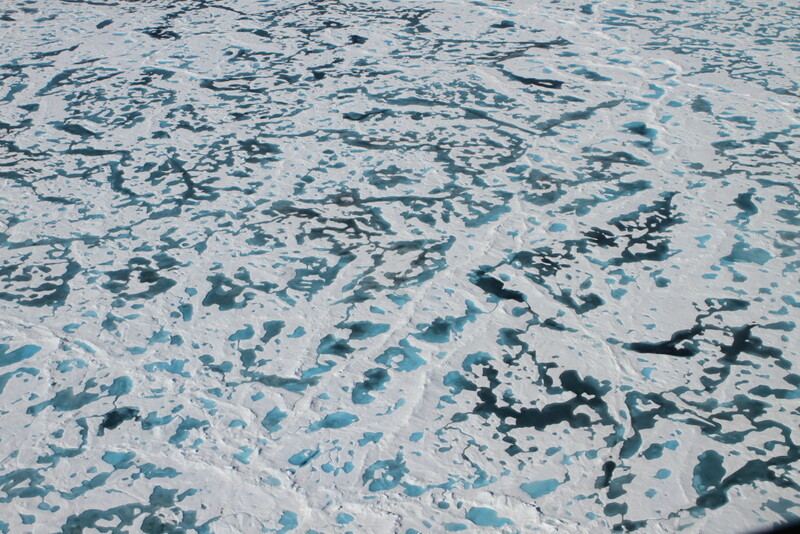 “We’ve never mapped melt ponds so extensively like this,” Kurtz said. And there were many melt ponds to map, as stretches of open water dotted with ice alternated with stretches of ice dotted with ponds and open water. 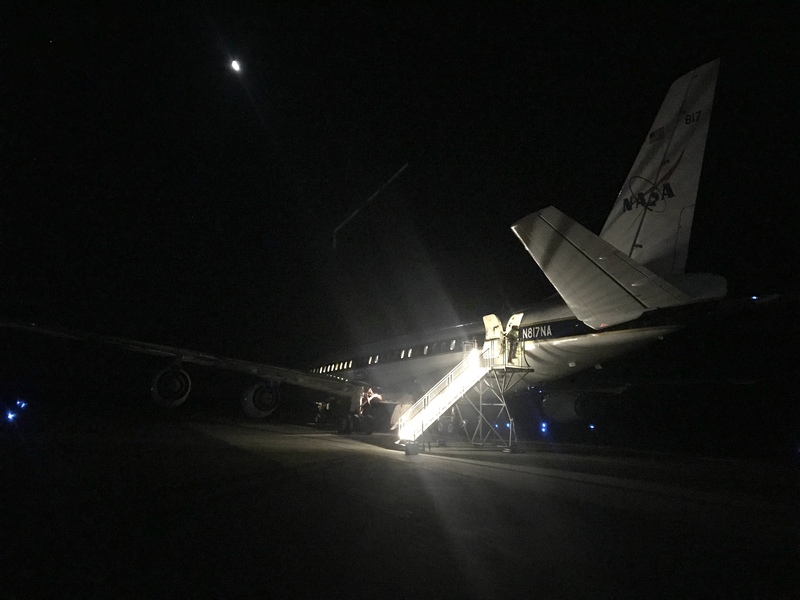 On the first flight, fog in Barrow and cloudy skies for the first couple hundred miles cleared up just as the agency’s Falcon jet, out of NASA’s Langley Research Center, reached the line the scientists wanted to measure. The goal? Take readings along the path that the European Space Agency’s CryoSat-2 would fly over shortly after 3 pm, local time. That would provide ways to compare the satellite and airborne data and see if scientists could use the summer satellite data. Then, early Tuesday evening, the team took off on another flight to the northeast. 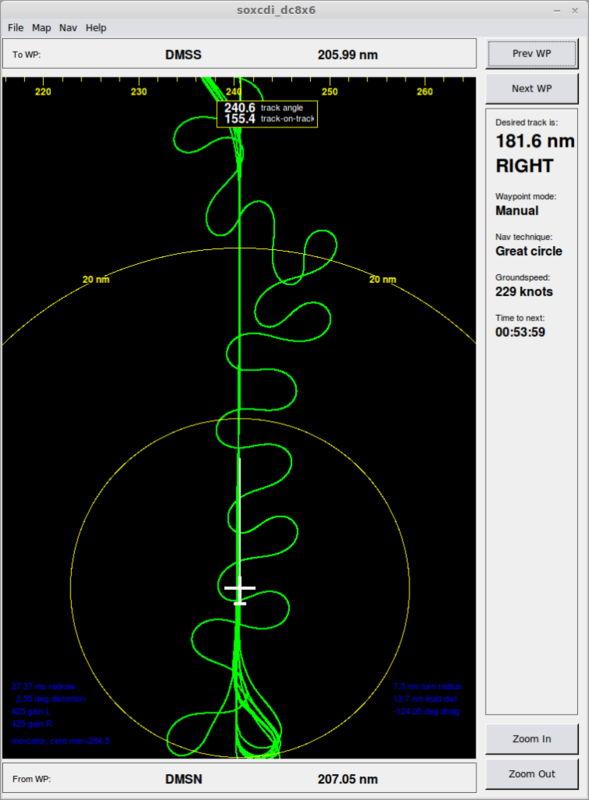 This flight was designed to see the patterns and topography of sea ice in the Beaufort Sea along a path dubbed the Linkswiler line, after Matt Linkswiler, operator of the laser altimeter. 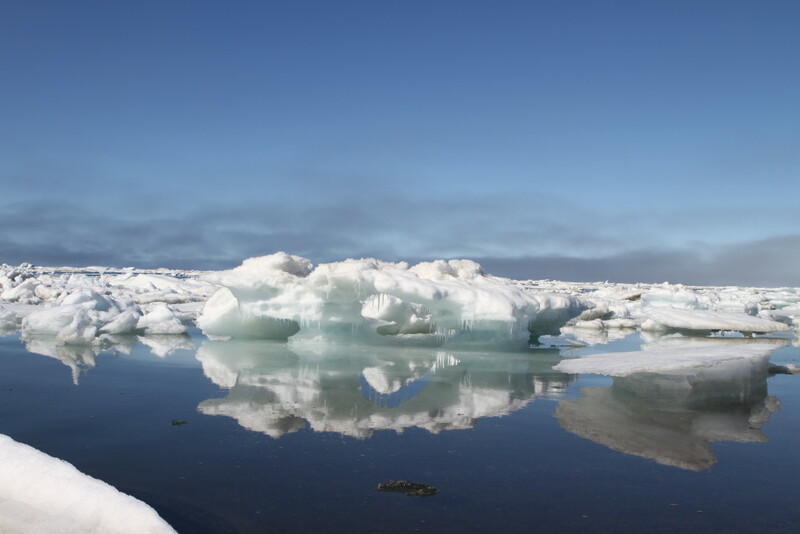 Kurtz and his colleagues are investigating whether a combination of measurements can help estimate sea ice thickness. It’s a tricky piece of information to get, but one that could provide clues to how fast the summer ice will melt, or whether it could stick around for another year. 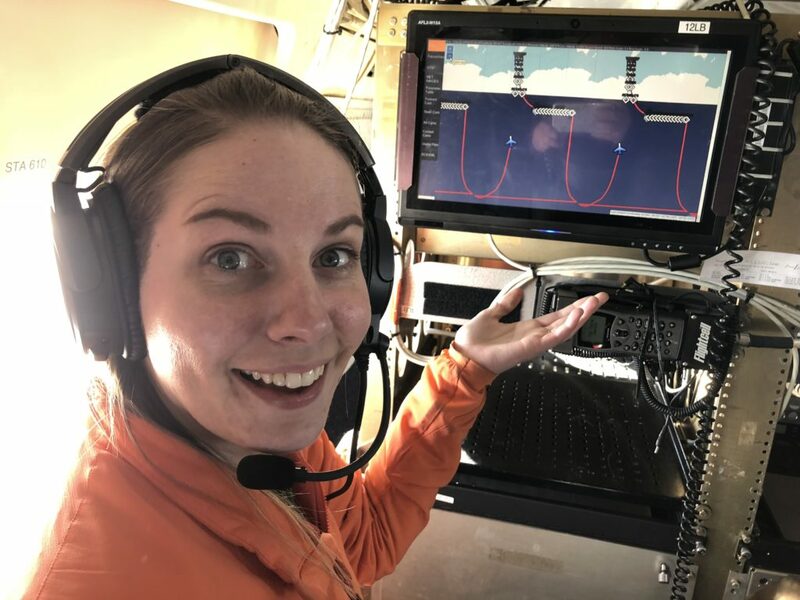 They’re studying how well the laser altimeter can measure the depths of the melt ponds—another possible indication of the year’s overall melt season. 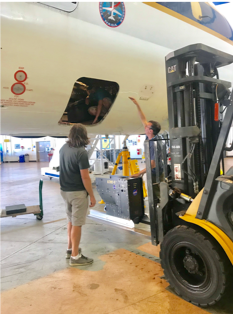 It’s one of several ways the IceBridge campaign is preparing for the Ice, Cloud and land Elevation Satellite-2, or ICESat-2, scheduled to launch by 2018. 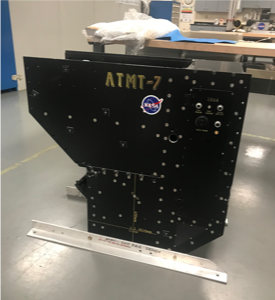 How IceBridge can measure summer ice melt could help ICESat-2 scientists develop programs to analyze the satellite’s summer data. 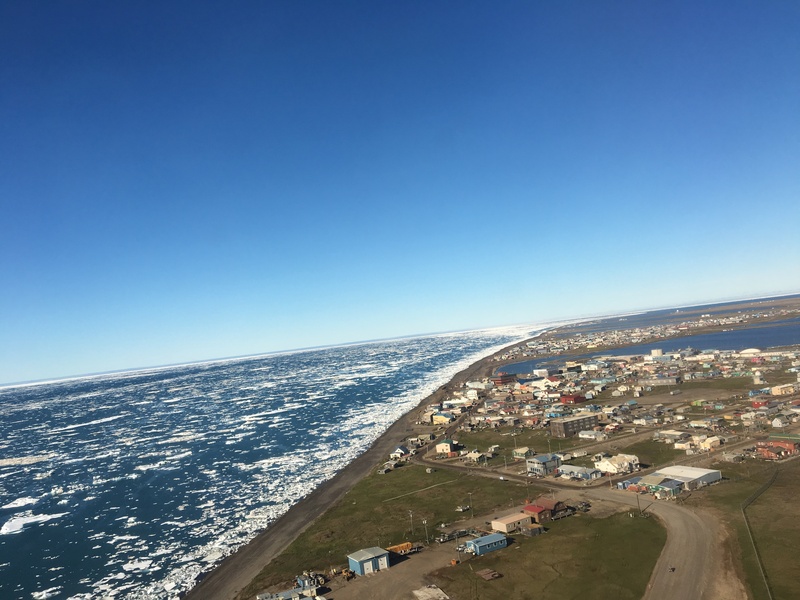 For Kurtz, the sheer variety of the summer ice is surprising and was especially noticeable on the Tuesday afternoon flight. 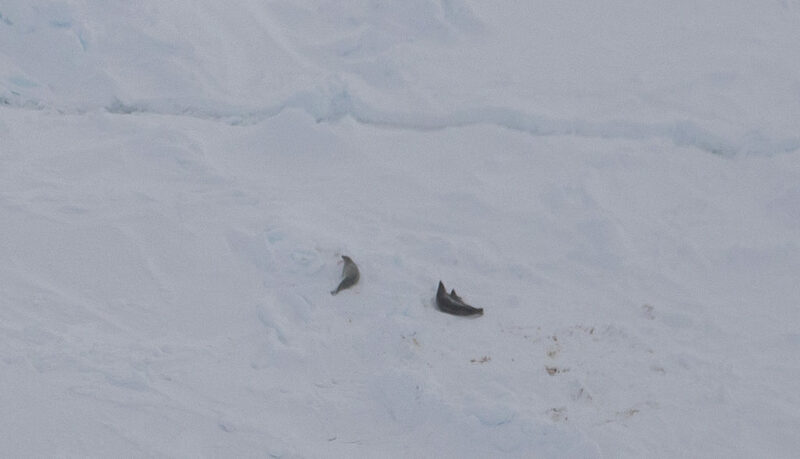 Different shades of white gave hints to whether it was just ice or snow on top of the ice, while in some areas the ice was brown, possibly due to embedded algae, Kurtz noted. 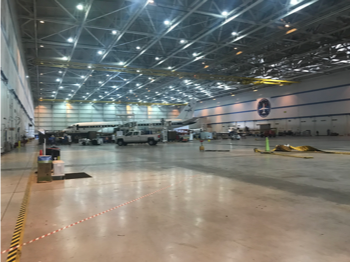 After Tuesday’s two flights, Icebridge had completed five of its six planned flights for the Barrow summer campaign. With its clear skies, Tuesday afternoon’s expedition was the best yet.